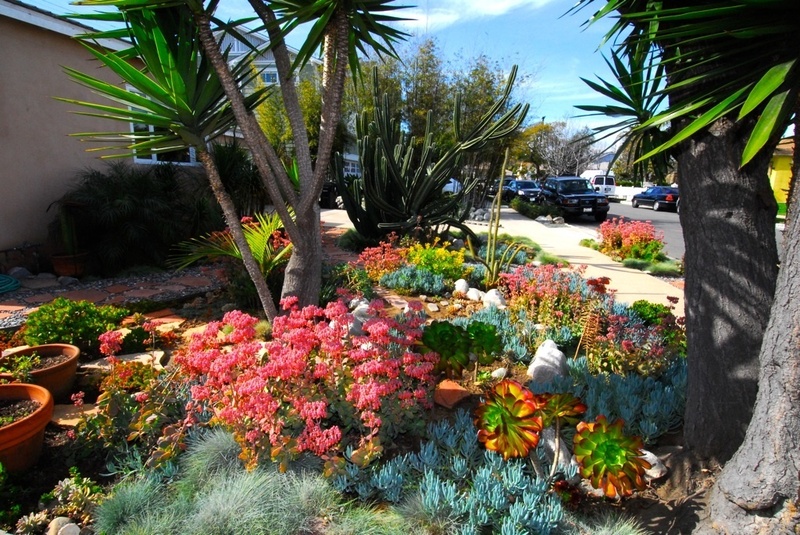 Mar Vista's annual green garden showcase promotes the kind of landscaping that the LADWP's lawn-removal program does. Drought-prone Southern California is officially out of the drought. But we still need to conserve water, partly because of climate change, but also because other areas that supply our water, like the Colorado River, are still in dry years. Metropolitan Water District has renewed its $2-per-square-foot rebate offer for turf removal. Los Angeles some other water utilities within the MWD service area will add their own rebates on top of that. So, a question: Have you ripped out your lawn, or are you considering such a transformation? We’re interested in hearing whether you’ve made your yard drought-tolerant (or less thirsty) in the past few years — why or why not? We’ll read every response, but nothing is shared without your permission.